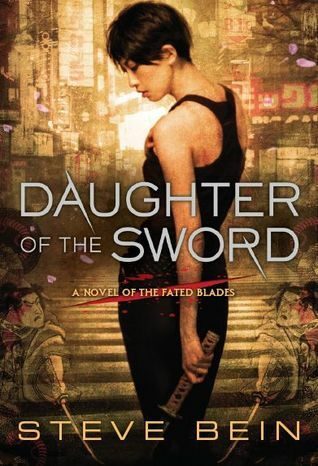 In 'Daughter of the Sword' by Steve Bein, Sergeant Detective Mariko Oshiro is both a woman in a department where men are the majority, as well as somebody on a course to confront the history of a special sword. When a male author writes anything where the protagonist is a woman, there is always the question of whether he was able to get inside her head in a believable way. In Bein's case, the author does a good job, and one identifies with Mariko and invests in her story from the start of the story. Mariko fights for even the smallest bit of respect in the Tokyo Metropolitan Police Department, and this struggle ties in to a case she finds herself investigating. In any story where there is a great deal of information for the reader to take in, there is the danger that readers will be overwhelmed, or lose focus of the main plot. I found the history of three swords forged by Master Inazuma, which are cursed or magical to be fascinating. Bein goes to great lengths to flesh out both the world Mariko inhabits as well as the origins of the swords. This enriches the story, tying fiction with actual events, and makes the swords themselves seem almost like living characters, either bringing their owners harm or protection. As far as secondary characters go, the 'inscrutable sensei' role has been nicely filled by Professor Yasuo Yamada, the owner of a stolen samurai sword, who becomes Mariko's sensei, and true to form, is holding back much more than he's telling his new student. It should be noted that the author has provided a glossary, which will be useful for anyone not familiar with many of the words used by the characters, and there are some interesting bits of historical backstory that will interest audiences. 'Daughter of the Sword' doesn't start out with a gripping action scene, instead making the wise decision to draw readers in more subtly, but it does immediately bring readers into a world that they may be very unfamiliar with. By giving them something new, Bein leaves them wanting to learn more about this world and its characters.